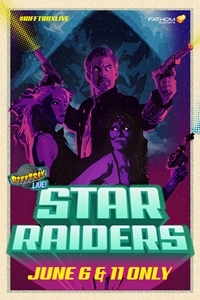 To celebrate the 10th anniversary of RiffTrax Live, Fathom Events and Rifftrax have joined forces to bring you Star Raiders! Can our heroes fend off Sinjin's army of mutant androids and rescue the Prince and Princess? Probably!